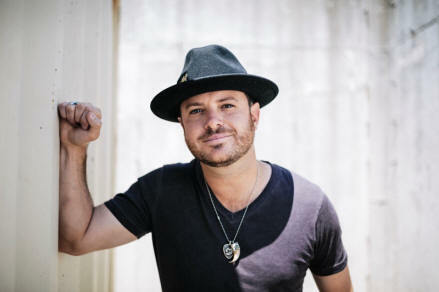 When I wrote this cover story feature piece for Lone Star Music magazine five years ago, Wade Bowen was in a period of self-induced creative transition. Switching his band up, expanding songwriting partners, bringing in new producers, booking agents and management. That gamble certainly paid off. Now as 2014 is coming to a close, Bowen is yet again pushing himself forward. However, this time it’s by going backward somewhat. What I mean by that is Bowen’s latest record is free of the pressure of having to make it. He’s made it. On his own, gambled terms. With this new record, Bowen is free to gamble in a new way: by listening to his heart completely. Following the muse of your soul isn’t always easy when you have a band, crew and family of dozens relying on you. Free from the confines of fitting into any preconceived boxes or external pressures, Bowen delivers his finest collection of songs. All of these career adjustments and freedoms allowed Bowen to make a well-rounded record that accentuates all his best qualities, but with a newfound experimental side. The country aesthetic is woven into each song via Bowen’s voice, but the instrumentation and production is a sonic soundscape of varied textures, vibes, styles and sounds. Originals mix with co-writes (Will Hoge, Sean McConnell, Randy Rogers). One of the coolest tracks is a cover of “Honky Tonk Road” that features Rogers, McConnell and Cody Canada joining Bowen. This tune first gained notoriety after it was covered by Walt Wilkins and his Mystiquero bretheren. Bowen and company take the song in a new, yet equally powerful direction. Lead single, “When I Woke Up Today” is an upbeat, radio-friendly tale that does a fantastic job of embodying the theme of the entire collection. The free-wheeling attitude of this collection doesn’t negate the emotional power of songs such as “West Texas Rain” and “Hungover” (two of the strongest songs Bowen has ever recorded). 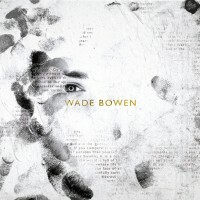 The most striking thing about the self-titled Wade Bowen album is that it feels as if listeners are finally getting a peek at the real Wade Bowen. He’s given us pieces for 15 years, but on this effort he’s pulling no punches, showcasing all the skeletons, and welcoming judgement on a scale that most vulnerable artists and songwriters don’t welcome. Bowen has let go of any ties that bind him and laid it all out there for the world to see. Happy, reflective, amusing and somber. All the aspects of his personality are on display. It’s so rewarding, as a fan, to hear this much honesty in a record. It comes out Tuesday October 28th and I think it’s the best thing he’s ever done. It’s easily in my top 3 favorites of 2014 and I hope you’ll dig into it as much as I have. I am sure this piece of writing has touched all the internet people, its really really nice post on building upnew webpage. I just want to say I’m all new to blogging and site-building and really liked you’re web site. Almost certainly I’m planning to bookmark your site . You certainly come with superb writings. Bless you for sharing your webpage. hey there and thank you for your information – I have certainly picked up something new from right here. I did however expertise a few technical points using this web site, as I experienced to reload the website many times previous to I could get it to load properly. I had been wondering if your web hosting is OK? Not that I’m complaining, but slow loading instances times will very frequently affect your placement in google and can damage your high quality score if advertising and marketing with Adwords. Anyway I’m adding this RSS to my e-mail and could look out for much more of your respective interesting content. Make sure you update this again soon.. I enjoy you because of each of your effort on this web site. My mother really likes doing research and it is easy to see why. All of us hear all relating to the lively means you give great strategies through your blog and even increase response from other ones about this topic while our favorite child is certainly discovering so much. Take pleasure in the remaining portion of the new year. You are doing a really great job. Nice post. I was checking constantly this blog and I’m impressed! Extremely useful info particularly the last part :) I care for such information a lot. I was looking for this particular information for a very long time. Thank you and good luck.